Thailand's yoga massage is restful massage, which is combined with your heartbeats and breathing. This improves your flexibility of muscles, as well as mobility of your bursae. Massage releases you from mental tention. Thailand's massage is based on 12 meridian, which are located all over the body. During the massage, different yoga "kind of positions" are in use. Different techniques of breathing, strong pressing movements and combination of stretching, helps you to release your blocked energy and muscles which are under pressure. The 55 min massage is carried out on special mat and with clothes. Customer should wear comfortable training clothes or leggings. Shiatsu helps to improve your energy flow in 12 meridians which are located all over the body. Massage helps you to improve energy flow in your 12 meridians, in addition to alleviate general body concerns. It works on the whole person - not just with the physical body, but also with the psychological, emotional and spiritual aspects of being. The massage helps stimulate your immune system and avoid illnesses. Although shiatsu means ‘finger pressure’ in Japanese, in practice a masseuse uses touch, comfortable pressure and manipulative techniques to adjust the body’s physical structure and balance its energy flow. Shiatsu massage was invented in 20th century in Japan. The 55 min massage is carried out on special mat and with clothes. Customer should wear comfortable training clothes or leggings. Restoring sport massage suites for physical and mental recovery after any sport activity. Helps you to release your blocked energy and muscles which are under pressure. This massage is hard - hitting muscle massage. Reflexotherapy for feet. Reflexology is a safe and natural method which helps the body to rid itself of toxins and promote healing, as well as effectively releasing muscular tension. Relfexotherapy was firstly introduced in 1913 in USA. It is based on a system of zones and reflex areas that purportedly reflect an image of the body on the feet and hands, with the premise that such work effects a physical change to the body. This massage / procedure includes relaxing herb and sea salt bath and peeling for feet. Cupping massage is combined with classical massage. Through either heat or suction, the skin is gently drawn upwards by creating a vacuum in a cup over the target area of the skin. The cup stays in place for five to fifteen minutes. While moving the cups this will give you massage effect. Suction reduces muscles tension, improves your metabolism,bloodstream,lymphatic circle, internal organs effectiveness and also clears your skin pores. Cupping massage gives you fast and good results when you are fighting with cellulite. 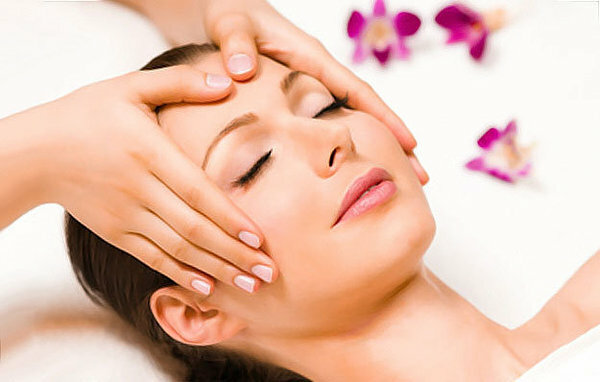 Indian head massage Chapi is a therapy from nature, where masseuse will massage your head,neck, face and shoulder's zone. Champi will forestall and alleviate stress, headaches caused by pressure and even baldness. Different oils will be used during the massage.